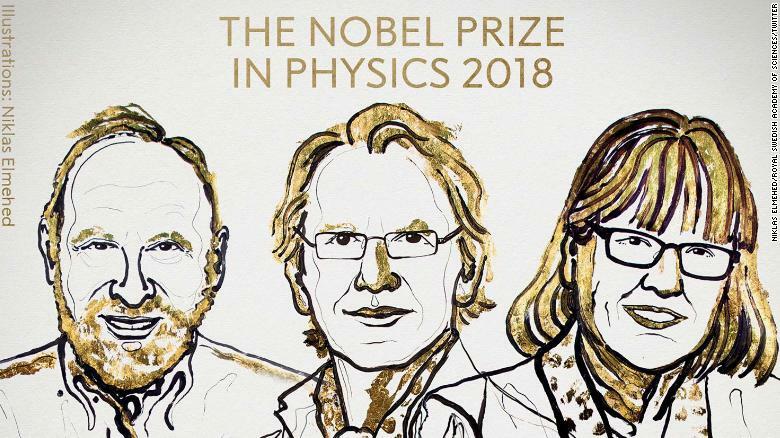 (CNN) The Nobel Prize in Physics has been awarded to a woman for the first time in 55 years, and for only the third time in its history. 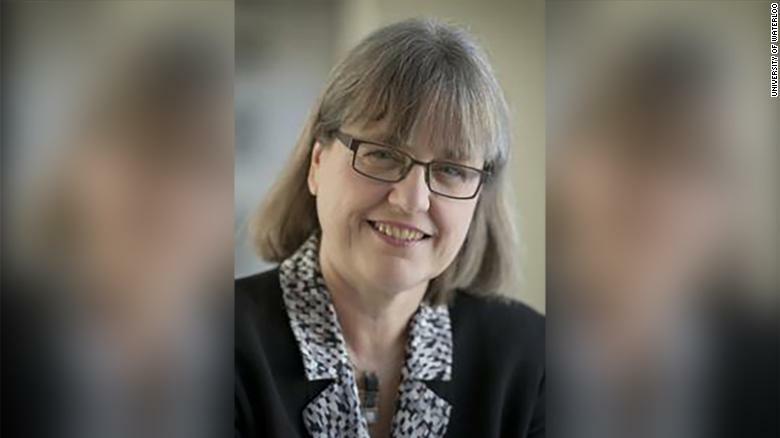 Donna Strickland, a Canadian physicist, was awarded the 2018 prize jointly with Gérard Mourou, from France, for their work on generatinghigh-intensity, ultra-short optical pulses. They share the award with an American, Arthur Ashkin, who at 96 becomes the oldest Nobel Laureate, for developing "optical tweezers. Donna Strickland is the first woman in 55 years to be awarded the Nobel Prize in Physics.re the award with an American, Arthur Ashkin, who at 96 becomes the oldest Nobel Laureate, for developing "optical tweezers." Strickland she said she thought there might have been more than three physics laureates, adding: "Hopefully in time it will start to move forward at a faster rate." This year’s #NobelPrize inventions revolutionised laser physics. Extremely small objects and incredibly fast processes now appear in a new light. Advanced precision instruments are opening up unexplored areas of research and a multitude of industrial and medical applications. Strickland and Mourou's development of very short and intense laser pulses, known as "chirped pulse amplification," have made it possible to cut or drill holes in materials and living matter incredibly precisely. The technology they pioneered has led to corrective eye operations for millions of people. While Ashkin's optical tweezers may sound stranger than science fiction, they make it possible for scientists to hold, observe, and move tiny objects with "laser beam fingers." That means laboratories can examine and manipulate viruses, bacteria, and other living cells without damaging them. 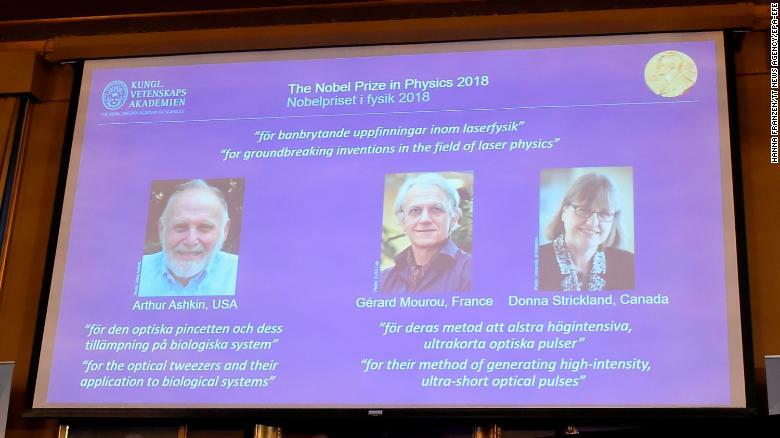 "Advanced precision instruments are opening up unexplored areas of research and a multitude of industrial and medical applications," the Nobel organizers wrote on prize's Twitter feed. Alfred Nobel created five prizes in his 1895 will for medicine, physics, chemistry, literature and peace. A sixth prize in economics was created, in Nobel's memory, by Sweden's central bank in 1968.